Emergency housing after a home disaster typically begins with finding the displaced resident(s) a hotel, which is often an extended stay. An extended stay hotel typically offers broader amenities such as larger rooms and kitchens. As we have previously discussed, one of our goals at ALE Hotel Solutions is to help families feel comfortable during these unexpected situations. Should you find yourself in an extended stay hotel, we recommend that you learn your hotel’s surroundings to help you stay active and have balanced time in and out of your room. ALE will do everything to help locate a hotel that does not increase your travel time to work or school as well as your “normal” errands and routine. However, you will be in a new place, and it is important to keep in mind some fundamentals to help make your stay more comfortable. Is the hotel pet-friendly? Does the hotel have an area that is convenient for you to walk your dog? Is there an area for your children to play outside? Is there an indoor or outdoor pool? Some extended stay hotels have basketball and tennis courts. Are there stores nearby for grocery shopping? If you do not have a full kitchen in your room, are there restaurants nearby that offer a varied menu? Are there evening socials or movie nights to allow time out of the room? Is there an on-site guest laundry facility? You can always arrange for outings to a park, museum or other local attractions (many of course being free of charge). If taking the whole family out is too difficult, you could take turns going out. ALE’s service does not stop at check-in. 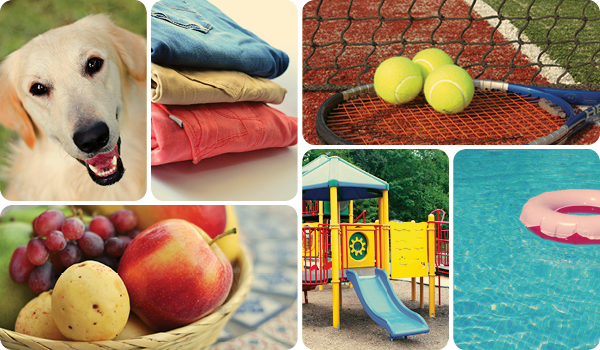 You can call us 24/7/365 with any questions about your extended stay hotel. 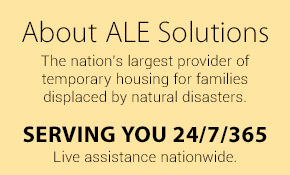 For more information about post-disaster recovery and temporary housing solutions, please contact us.